Mozart would have approved! Paul Sylvester has taken one of the most famous pieces and arranged it for a low brass ensemble consisting of 2 euphoniums and 2 tubas. 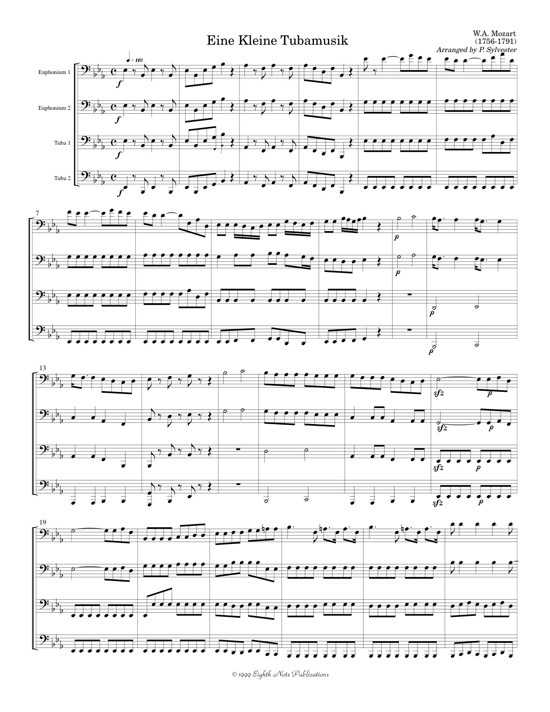 All the Mozartian technical fun is included in this version for low brass. All parts are interesting and exciting.